The first time Greta saw Blake, she knew he was the one. Knew it like fire knows tinder. She hadn't thought she'd be at a frat party her first week in college, but her roommate, Amber, convinced her to go. Greta couldn't believe how easy it was to get in. It seemed like they threw those parties just so girls like her would come. But she was pretty now, and everything was different. No one knew anything about her ugly duckling past or all the darkness before. It was a whole new world, a brand new start. Then she saw Blake and knew he was her destiny. But Blake saw Amber first. And he got...confused. Blake was her soul mate. She could tell. She knew all about soul mates. Too bad about her last one. 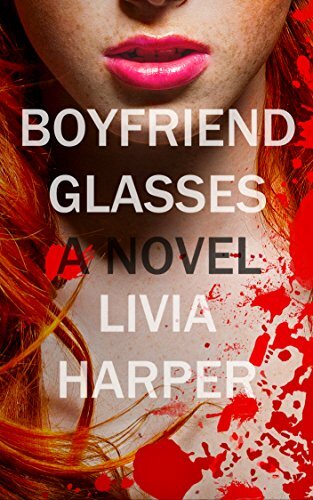 BOYFRIEND GLASSES is a dark psychological thriller perfect for fans of THE TALENTED MR. RIPLEY or GONE GIRL. Get your FREE copy today!